It never ceases to amaze one how small the world can be. We all walk different paths, all journeying back to the same source. That difference can often be the cause for people to feel separate from one another, leading to the inability to even try to understand each other. When we take the time and really listen, we often find that we are not that different from each other. Ways of practice, culture, and even language sometimes share commonalities that one would have never thought. Earlier this year, Leonie van Gelder emailed me about an idea. Leonie and her husband Minor Lile, who now serves on the TSA board, were the caretakers and managers of Indralaya Theosophical Camp. 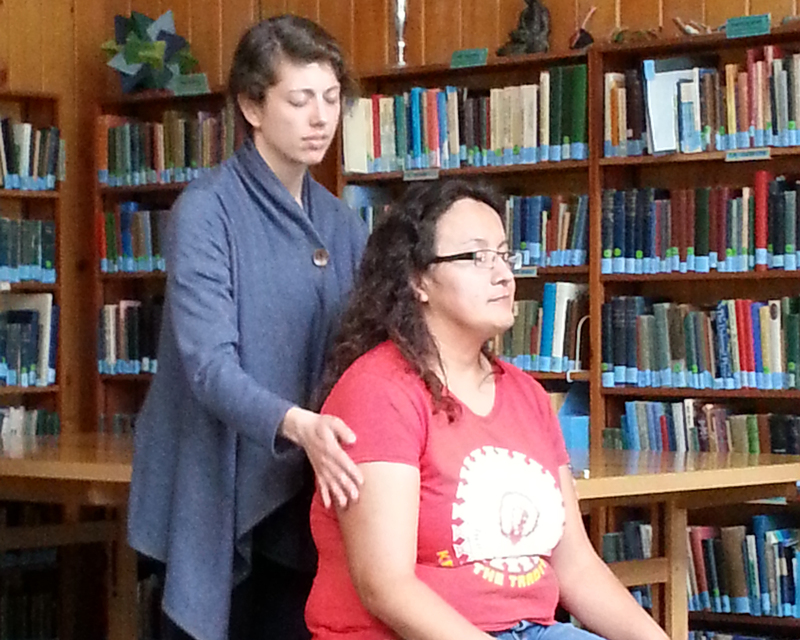 Indralaya is the home of Therapeutic Touch (TT), a healing modality created by Dora Kunz and Dolores Krieger. Dora was a past national president of the Theosophical Society. Every year, the TT group gathers at Indralaya for a training program. In June they offered a Foundations class in TT. Leonie mentioned that a small amount of money is set aside for a scholarship to anyone interested in learning TT. However, they needed to be in the nursing field and they needed to be from an indigenous group. Would a student from the Oglala Lakota Nursing Scholarship program be interested and would the TOS help get her to the camp? We are happy to announce Joanne Thompson, our recent scholarship recipient, took advantage of the offer and made her way to Indralaya. As we cannot do justice to her experience, we will let Joanne tell you about it in the words she expressed at the closing of the program. "First of all, I want to say, Therapeutic Touch is everything I thought it would be, and it also exceeded my expectations of what Therapeutic touch is able to do. I got more out of this training than I ever expected. I met wonderful, amazing people in the Foundations course. We shared with one another and we connected so well. I have taken many forms of short courses/training around the country but I have never met a whole group of people who were easy to make a connection with as the group in this Foundations course. I feel very blessed to have met everyone and work with them in the Foundations course. I may be just one of 2, maybe 3 Native American Indians, or First Nations people here at this camp, Indralaya. However, as long as you believe and live by the Fundamentals of Therapeutic Touch, you will have the honor of knowing what it feels like to be a Native American Indian or First Nations person at the core. Plus, through Therapeutic Touch, you are crossing over to participating fully in the Universe, as you were always meant to be. Again, with crossing over to participate fully in the Universe is at the core of what it means to be Indigenous, to be a Native American Indian/First Nations' culture--participating fully in the Universe is at the core of our culture. Therapeutic Touch is about learning the Truth about our role and where we belong in the Universe. Please take the time, when you go home--make the effort to talk to a First Nations person, or Native American Indian and start a conversation about "what Therapeutic Touch is." Bring up the points of being grounded to the Earth, connecting yourself with the sky. And most of all, tell him or her about how Therapeutic Touch is about restoring balance within one's self. If you do this, you will come to realize you have something in common with the Indigenous people of your region. 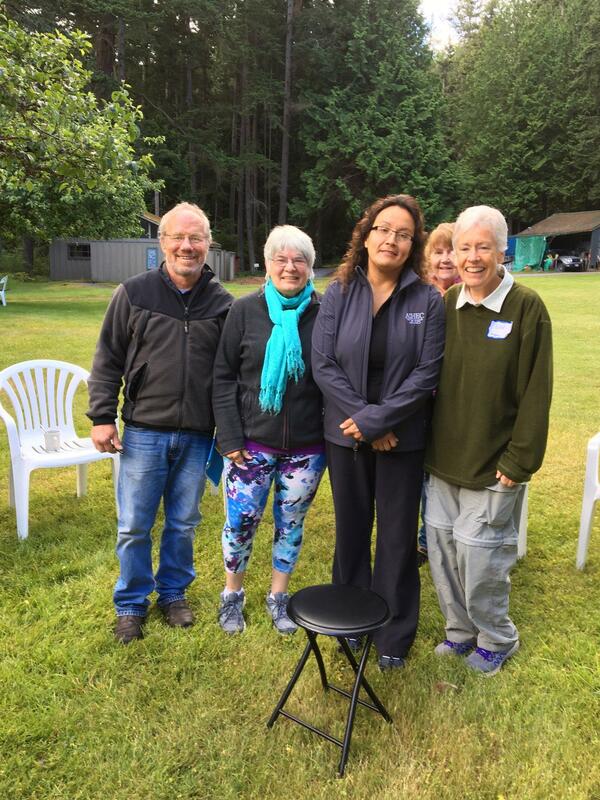 My main point is: because of Therapeutic Touch and what it stands for--you will also have a stronger connection to the Indigenous tribes, or First Nations people of your country. Most of all, you can start building a relationship with the Indigenous people within your community or region you live in."